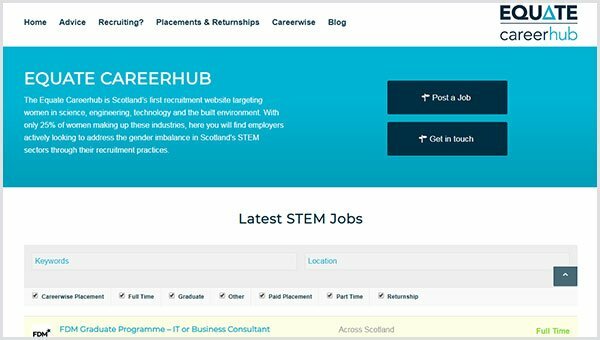 The Equate Career Hub is the 1st jobs website for women looking for roles within STEM industries in Scotland. Delighted to work once again with Equate Scotland once again to set up this website. The website uses the WP Job Manager Plugin to enable companies to submit job listings.